There is news of great relief for the industry. A ministerial group of GST Council has recommended to eliminate 'reverse charging mechanism' (RCM). [Delhi]: There is news of great relief for the industry. A ministerial group of GST Council has recommended to eliminate 'reverse charging mechanism' (RCM). 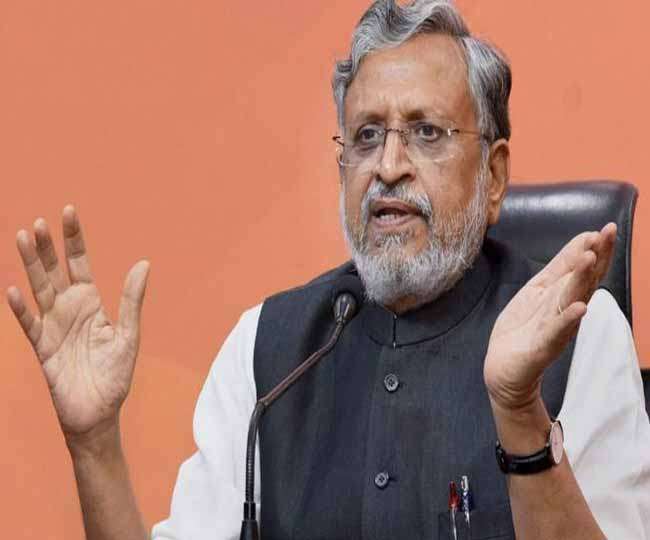 A ministerial group headed by Bihar Deputy Chief Minister Sushil Modi says that by abolishing Section 9 (4) of the CGST Act with the provision of RCM, instead of adding a new stream to it, the GST Council should be given the right to enter the traders registered in GST From which category should the RCM be implemented? The minister's group has recommended the Modi Government's populist proposal to be given a 2% discount on GST on cold payment in the cold storage. GST Council constituted two separate ministerial groups under the chairmanship of Modi to consider both the subjects. A meeting was held here on Sunday in both the Ministries where the decision was taken to make these recommendations. Modi told Dainik Jagran that the minister will keep his recommendations in the GST Council meeting on July 21 from video conferencing. Council will make a final decision about this. The recommendation of the ministerial group on RCM is important because the industry is not happy about it, so its implementation is currently avoided by September 30. Under the Section 9 (4) of CGST and SGST Act there is a provision of 'Reverse Charge Mechanism', but there has been objection to small and big traders regarding its implementation. This is the reason why GST Council decided to discontinue RCM's rule in the meeting held on October 6, 2017 until March 31, 2018 and then on March 10, 2018, until June 30 in the meeting. Although the situation is not favorable, its implementation has been postponed till September 30. According to sources, the recommendation of the Group of Ministers is clear that the possibilities of implementing RCM on the composition scheme dealers are over now. On the proposal of two percent exemption in GST on digital payment, the Group of Ministers says that no decision has to be taken in this regard only after looking into the revenue collection in the financial year 2018-19. There is a proposal to implement single monthly returns in GST in the current financial year, so a proposal to discontinue rates should not be implemented right now because it can have practical problems in implementing it. Also, there is no guarantee that the discount will give rise to digital payments. If this exemption is granted then it will have to bear the burden of about 14000 crore rupees annually. The government had proposed to give two percent (one percent CGST and one percent SGST) rebate in GST on the BSTU (trader-to-customer) transaction check or digital mode in the GST Council meeting held on November 10, 2017. This discount will be only Rs. 100. This exemption will be found in the same situation when the rate of GST is more than three percent on an item. However, it could not be discussed at that time. Subsequently, the council discussed this subject in a meeting held on 4 May 2018 through video conferencing but no decision could be made. Hence, a Council of Ministers, headed by Modi, was constituted by the Council to consider it. Under the Section 9 (4) of CGST and SGST Act and Section 5 (4) of the IGST Act, there is a provision of 'reverse charge mechanism'. This means that if a registered merchant buys goods of more than five thousand rupees a day from an unregistered merchant or receives the service, then the registered businessman will have the responsibility to deposit the GST. They will have to pay GST themselves by registering it in their books book. It is a different matter that they can get an input tax credit later on.